Move over, RockMelt. You don't need a dedicated social networking browser to stay überconnected. Here are 10 Firefox add-ons (all compatible with the latest version of Firefox) that will turn your browser into a social butterfly. The world's largest social network wouldn't be complete without a direct-access toolbar. The Facebook Toolbar Firefox add-on features a Facebook search bar, a Quick Links menu (for directly accessing your Profile, Friends, Inbox, Photos, Notes, and the like), a link to Facebook's home page, a Share button, and a photo-upload button. 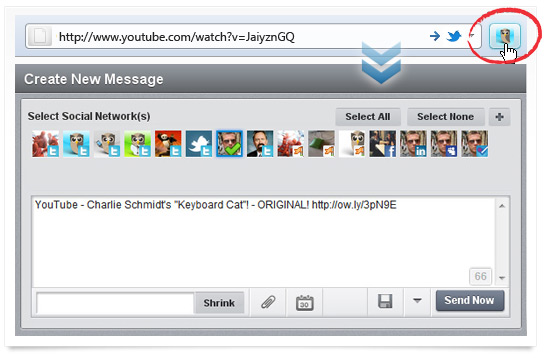 The toolbar also notifies you of new pokes, messages, friend requests, and wall posts. Keep up on Facebook with the Facebook Toolbar. On the leftmost end of the Facebook Toolbar is a button for toggling the "Friends Sidebar" on and off. This sidebar shows a running list of your pals' latest status updates, so you can keep up-to-date as you browse other parts of the Web. Search Twitter straight from your browser. Sometimes you just want to know what's going on with a particular person, or a particular hashtag, on Twitter. The Twitter Search Firefox add-on is a useful--yet practically invisible--tool for doing just that. Twitter Search lets you easily look up Twitter users and hashtags. To use Twitter Search, simply go up to your browser's address bar and type a Twitter username (complete with the @) or hashtag (with the #), and press Enter. Twitter Search will take you directly to that page. Maybe you want to update your Twitter account, not just search for other people. In this case, the HootBar Firefox add-on is a convenient tool for tweeting via your browser's address bar. HootBar lets you manage your Twitter account from a convenient toolbar button. HootBar adds two buttons to your browser: a little Twitter bird in the address bar, and a Hootlet button between the address bar and the search bar. To update your Twitter account, you just type your tweet into the address bar and click the Twitter bird button; the Hootlet button gives you more options. You can use multiple accounts with HootBar (just add --accountname after each tweet), schedule messages, and track stats. You will need a HootSuite account. Google+ Manager gives you one-click access to basic Google+ features. Google's up-and-coming social network doesn't yet have a dedicated Firefox toolbar, but the Google+ Manager Firefox add-on does bring some useful things to the table. The Google+ Manager adds a small button to Google pages. Clicking on that button produces a drop-down menu of links. 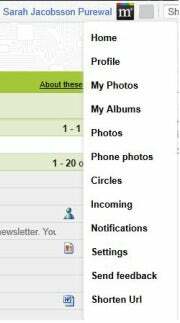 You can then go directly to your Google+ profile, photos, albums, Circles, settings, and more; you can even shorten a URL. Although Google+ Manager offers a lot of options for navigating directly to your Google+ account, remember that it works only on Google Web pages. Manage your LinkedIn connections via LinkedIn Companion. A dedicated LinkedIn toolbar can be useful if you're either looking for a job or seeking someone to hire. The LinkedIn Companion Firefox add-on adds a simple toolbar to your browser with two buttons: a 'Share on LinkedIn' button, and a regular LinkedIn button. Clicking the latter yields a drop-down menu of options for connecting with the business-oriented social network. 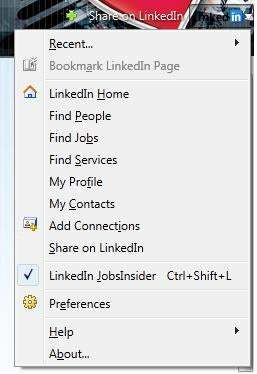 From that menu you can see your recent LinkedIn profiles and searches, find people or jobs, add contacts, and check out LinkedIn JobsInsider--basically, just about everything you'd normally do on LinkedIn. LinkedIn JobsInsider is a sidebar that shows your "inside connections" as you browse jobs (in other words, it shows whether you know a person who knows a person).